I bought this rifle from the Junkmail, in 2006. The fellow wanted R 1200 for it and the money hit his bank account faster than... a speeding bullet. Only problem is, the damn thing wouldn't shoot. This "group" at 25m, off a rest, and you can see some of the bullets are tumbling. After trying many different loads and at least ten different types of bullets, I figured it out. The barrel is oversize. Way oversize. I slugged it at .432" (should be .428"). At really low muzzle velocity, things were sort of OK with some bullets, since the bullets sort of gripped the lands. 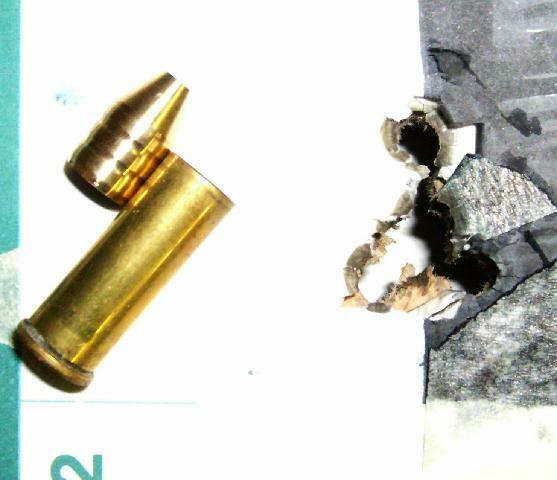 At higher velocity the bullet goes straight down the middle, doesn't pick up any spin, and shoots like a muzzle loader. 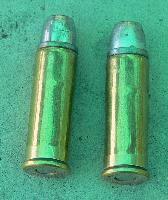 So I asked a 'smith to lathe-turn some oversize bullets at .433". Here's a group at 25m. Much better. This is not an uncommon problem, very shortly afterwards there was a group buy over at the Cast Boolits forum for a .434" mould. I bought one, as well as .431" and .433" sizing dies. I then made the mistake of telling a fellow I wanted a lot of bullets... I ended up with... a lot of bullets. I sorted the bullets in 2 grain lots, .433" resized a bunch of them, and loaded them using S265. The CCI primers gave erratic velocities, as did the PMP, which also stands a bit proud of the case, large rifle primers pockets being deeper than large pistol. 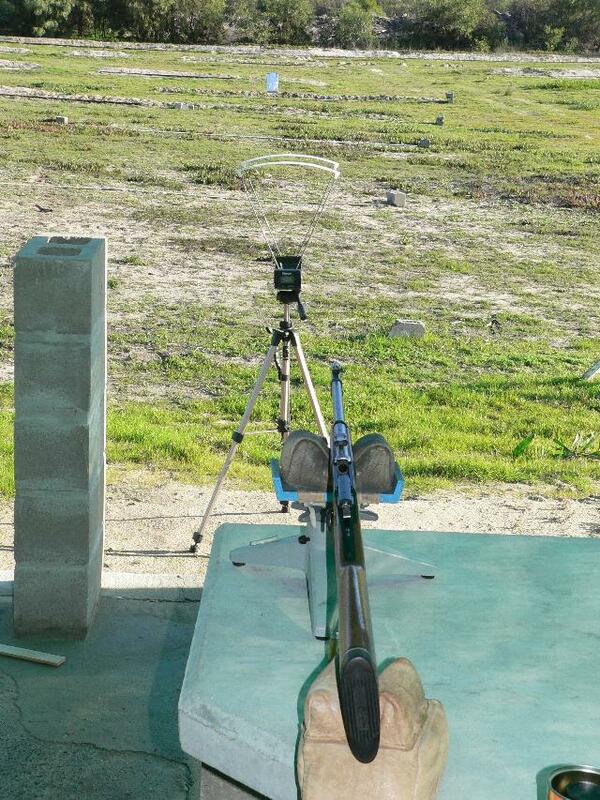 Not a problem, except that the ammo won't stand up on the reloading bench. I'll stick to the Winchester primers if I can find them. Much better! 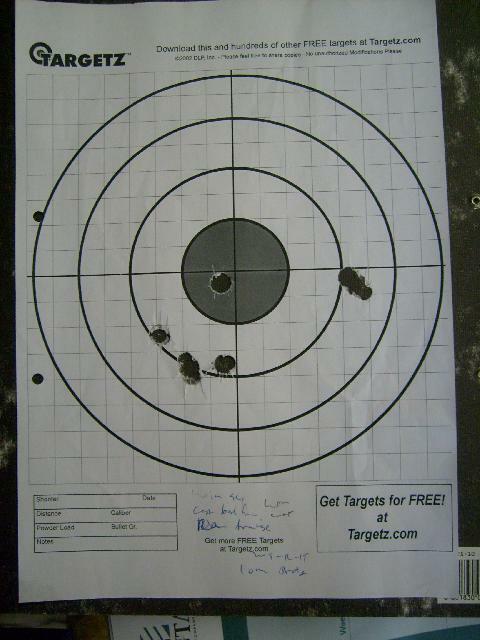 Five shots, 50m, open sights, just over an inch (27mm to be exact). 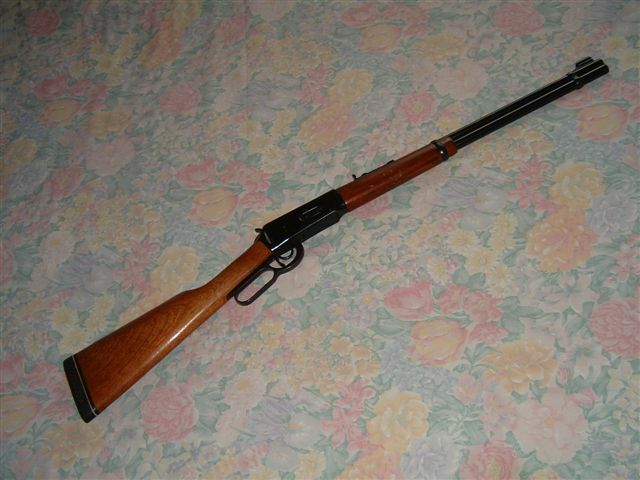 Winchester Model 94 Disassembly by Junior Doughty. 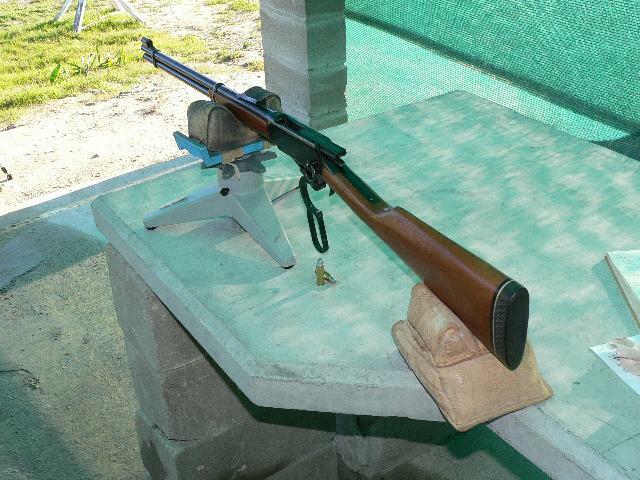 Winchester Model 1894 Classic Gun Test at Chuck Hawks. Winchester's Trails End Leverguns by John Taffin.